Cybersecurity is fast becoming a focal point for companies that deal with personal data, employee information and emails. Itad has recently achieved both the Cyber Essentials and the IASME Governance security certifications. This demonstrates we have attained a government accepted standard when it comes to governance and risk management of cybersecurity. This is determined through independent verification by the IASME accreditation body. Read below for a bit more information on the certifications. Cyber Essentials is a standard developed by the UK Government in consultation with technology partners. The aim was to identify the most important technical security controls, which had they been in place could have prevented the majority of cyber-attacks on businesses over the last few years. 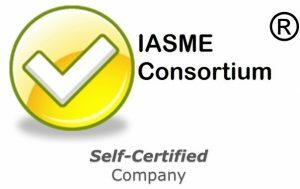 IASME is one of four companies that are appointed as an accreditation body for assessing and certifying Cyber Essentials. The IASME standard was created to set an achievable cybersecurity standard for SMEs. The main accepted international standard ISO27001 is thorough but can offer challenges for an SME to maintain. Therefore, this standard has been developed to show a certain level of governance and risk management of cybersecurity within small businesses. For more information about our cybersecurity, please contact Jacob Brown.